Buy a mattress only from an established and reputable retailer – Look up a retailer of organic mattresses that are members of the Organic Trade Association and certified by Green America. That way, you can be sure that they are selling organic cotton mattresses that are made of 100 percent organic cotton, and not a blend of 70 percent organic cotton and 30 percent synthetic recycled fibers. Consider visiting their showroom to take a better look at their baby mattresses. Make sure it is firm enough for your baby – Ideally, an organic wool baby mattress must be firm to provide ample support for your baby’s growing and developing body. 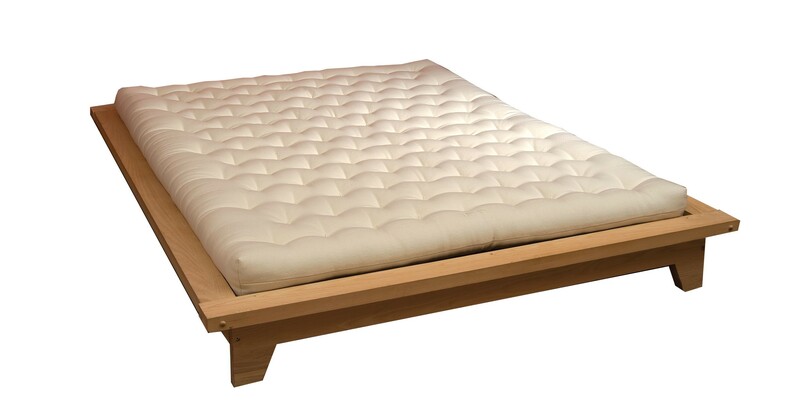 High-quality baby mattresses are made of natural latex with a 95-D firmness or ‘extra firm’. The latex is covered with organic cotton for a soft and hypoallergenic sleep surface. Find out what it is made of – High-quality organic wool baby mattresses are made of organic cotton, natural latex, and natural wool. Natural wool should not cause allergies because it still has lanolin, which helps deter dust mites and other allergens. It is naturally fire retardant, too, so you can be sure that the mattress is not treated with harmful chemicals. Natural latex provides enough support while ensuring comfort.